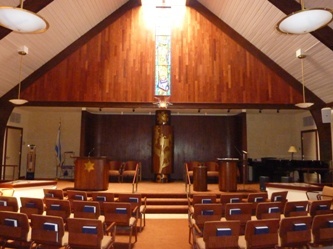 It is the mission of the Etta Natalie Rosenblatt Preschool at Temple Sholom in Broomall, the only Reform congregation in Delaware County, to provide a strong foundation in both Jewish and secular early childhood education in a safe, nurturing environment, where children are free to grow and develop. Recognizing the importance of forming a positive Jewish identity, we expose children to Jewish culture and tradition. This is done through music, stories, special foods, holiday celebrations, blessings, Friday morning Tot Shabbat, Monday morning Havdalah, and interaction with our Rabbi Peter Rigler and Cantor Jamie Marx. We incorporate Jewish values into our curriculum throughout the year. Our goal is to nurture in each child a strong identity and love of Judaism. Our school offers a developmentally appropriate curriculum which includes the PA Early Learning Standards as a guide to our lesson planning. Experiences are provided in shared reading, discussions, circle time, block building, music, imaginative play, puzzles, language acquisition, pre-reading skills, cooking, math stations, art, science, social studies, kindness, mitzvot and social responsibility.